Modifications of the Tap roots. Modifications of roots on the basis of mechanical strength. 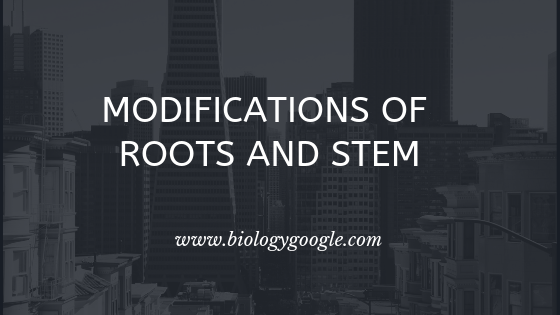 Modifications of roots on the basis of vital functions. 💙 Roots generally perform the function of absorption and conduction of water and minerals in plants. 💙 But uncertain conditions they undergo modification and perform functions other than the primary functions like storage, support, and respiration. a) Conical: upper part bulged and the lower part shows gradual tapering example Daucus Carota. b) Napiform: upper part bulged but lower part shows abrupt tapering examples Brassica rapa ( turnip), Beta vulgaris ( chukandar). c) Fusiform: Found upper and lower parts are tapering but the middle part is swollen. example Raphanus sativus (Raddish). d) Tuberous: No definite shape as their is irregular buldging and tapering e.g. Mirabilis Jalapa (4 clock plant), Trichosanthes. b) Tuberous: Upper Irregularly swollen or bulged also known as storage roots example Ipomoea batatas (Sweet potato). c) Fasciculated: Cluster of rootlets swollen from top to bottom examples Asparagus, Dahlia. d) Nodulose: Tip of the root is bulged example Curcuma Amada (Haldi). b) Annulated:- Most Root appears like a rope as it is formed of a number of discs placed one over other examples Ipecac. a) Prop or Pillar roots: Arise from aerial branches go downwards and provide support examples Ficus Benghalesis, Pandanus. ⚈ IBG Kolkata is famous for Banyan trees i.e Ficus Bengalensis. b) Stilt roots: upper Arise from the node present very close to the soil surface and provide mechanical support examples Zea Mays, Sorghum, Bajra, Saccharum Officinarum. c) Root buttresses: Horizontal running roots arising from the base of the stem to provide support examples Rubber tree ( Ficus elastica). d) Climbing roots or Clinging roots: In certain climbers having the weak stem, roots arise from the node and clasp around the support and thus helps in climbing examples Piper betle, Pathos (Money plant), Campsis etc..
d) Adhesive roots: In plants like ficus rapens , Hadera helix roots adhere to the support on account of their adhesive nature(adhesive discs). a) Pneumatophores: Knee or breathing or respiratory roots, come out of the soil and bear minute pores called as pneumatophores to carry out respiratory exchange of gases examples Mangrove plants like Rhizophora, Avicennia, Sonneratia etc. b) Nodulated Roots: Such roots have spherical outgrowths called as nodules which contain Nitrogen-fixing bacteria examples Leguminous plants (pea). c) Parasitic Roots: Also called as sucking or Haustorial roots are used to absorb food and water from the host plant example Cuscuta. d) Floating Roots: Produced by aquatic plants, come out on the water surface to provide buoyancy and also carry out respiratory exchange of gases examples Utricularia, Jussiaea etc. e) Contractile or Pulling Roots: Such roots contract to bring corms in an appropriate position examples Saffron (crocus sativus belong to family Iridaceae), Allium Sepa (Onion). f) Epiphytic Roots: Also called as sucking or Haustorial roots are used to absorb food and water from the host plant examples Cuscuta. a) Stem Tendrils: Slender, spirally coiled develop from axillary buds and help plants to climb examples Passiflora, Luffa, Cucurbita, Grape Vine etc. 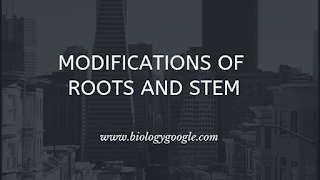 b) Stem Thorns: Woody, straight pointed structures which also develop from axillary buds and help in reducing transpiration, in addition, protect plants from browsing animals examples Citrus, Bougainvillea, Hugonia etc. c) Phylloclades: Stem modified into flattened (Opuntia), or fleshy cylindrical (Euphorbia) structures that contain chlorophyll and perform photosynthesis. 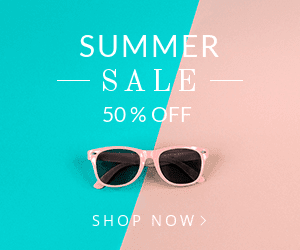 Asalamu alykum,My name is Musaib Manzoor i am a Bsc OTT student by profession but a blogger by interest,by this blog i want to help people by providing simplified material.